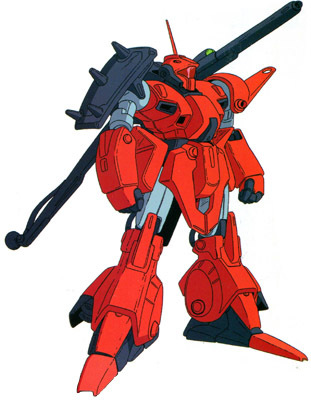 The MSA-004K Nemo III is a trial production mobile suit developed by Anaheim Electronics, based on the MSA-004 Nemo II. Compared to the original MSA-003 Nemo, this unit is a great improvement. The left shoulder is equipped with a beam cannon, which is mainly used to deal with medium range fire support. The Nemo III is also armed with a beam saber, vulcan guns and a beam rifle. The Nemo III is never mass produced as intended and is only used as an experimental unit. Nearly a decade after its initial development, the Nemo III is in use with the Earth Federation Forces and participates in the defense of Australia's Torrington Base, which is attacked by Zeon remnants in UC 0096.